can you 'paste' here what you're trying to insert? the forum is / was smart enough to code it for you just from pasting onto the reply box for most media (give it a few seconds to figure it out) and on what platform? Mobile or pc broswer? it's neat to see all the small things with an update [scroll all the way to the bottom of the page (pc / browser) : love the inclusion of the FB & Insta that were never there] can someone make the "contact us" button actually work or point to a working email address or 'help' thread please? it's a @clubsub.org.nz email address & we havnt had one of those for eons, & emails to it go nowhere nor do they even bounce back (try it) edit : I hit it again & says "Sent to administrators" pipe up if you see it anywhere! no sorry Nice type R tho! Here's a couple of vids if anyone can be bothered to watch (pretty boring lap stuff) only recorded the 1st & last session & not sure why the gopro decided to split the videos into two I really liked the way Superlap is run, sorted into times & the 1st session I spent time looking behind me to let faster (everyone) pass me safely By the last session we had times & were let off in order so no-one really got in each others way #timeattack / #oneperfectlap oh yeah & Lol Gravel Express (Version 2 WRX) I had fun Chasing Vivian aka @Munkvy in his BMW He had slicks, less power but more grip, & I ran out of rear brakes after session 2, lucky Repco just down the road! 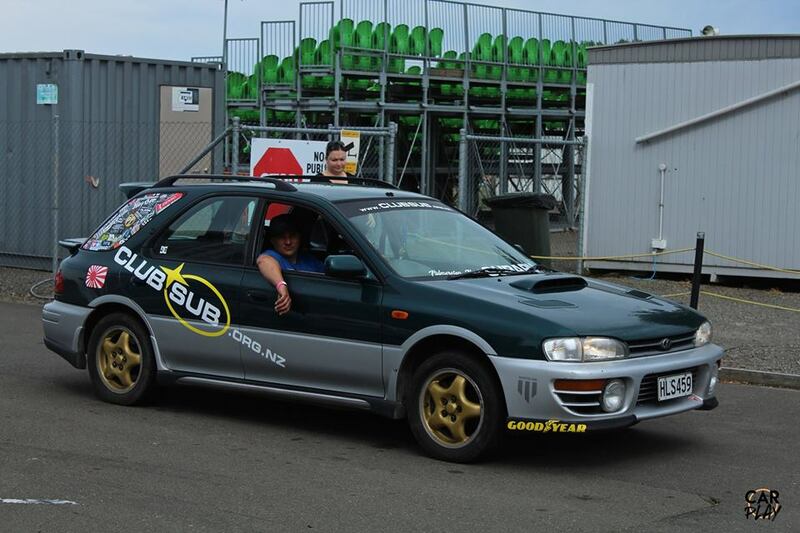 "What's your rego....." I know there were other ClubSubbers there too Cam & the Palmy Sub guys Feel free to post other cars & your pics from the event! 1UZ : yep pretty sweet combo Survived 4 sessions of 'superlap' can see how addictive it can become! https://scontent.fakl1-1.fna.fbcdn.net/v/t1.0-9/55441126_10157068001732456_2202569017342820352_n.jpg?_nc_cat=106&_nc_ht=scontent.fakl1-1.fna&oh=d5a6f8c7582c59dd5da70d9203d5d49e&oe=5D0C4B8C [I'll update pic link tomorrow] survived : just! yep keys will be radio chipped (body coded) did they take the keys too?